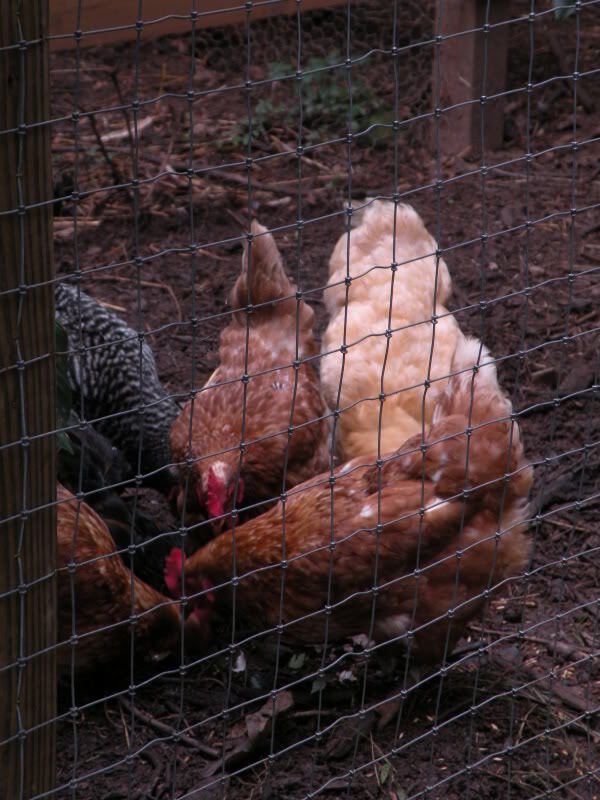 My first class on Raising Chickens at Oakhurst Garden took place in the Fall of 2009. 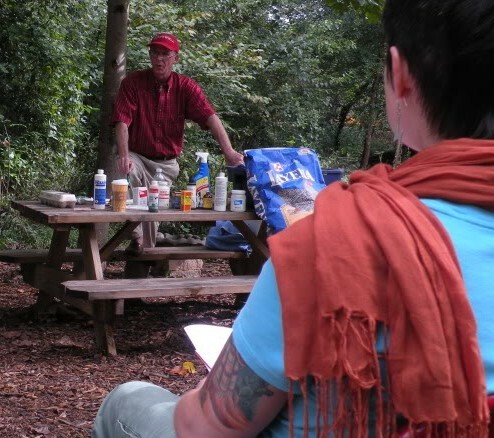 Andrew Wordes, who has made a name for himself fighting city council to keep his pet chickens in Roswell Georgia, taught the class. He explained the difference in chicken breeds, how to hatch them from eggs, raise them from various stages of life and spoke of all the benefits of having chickens. He spoke about their housing and feeding needs and what was required on a daily basis to keep a flock of chickens happy. I was touched by this man. He truly loved his birds! Notice that blue bag of Layena chicken feed I would win shortly after Andrew taught us about chicken health and happiness! Two pretty important questions needed to be asked. How long do the chickens lay eggs? And how long do they live after they stop laying? As a vegetarian, I could not kill these animals, so how long they would be pets only was important. It turns out chickens can live for QUITE a while – ten, fifteen, even twenty years in optimal circumstances. Hmmmm, that’s a big commitment! The proud owner of five rescues, two cats and three dogs, commitment wasn’t a problem for me thus far. But chickens are not dogs or cats. Would they respond to humans in the same way? It was something to consider. As the class was ending, Andrew directed us all to look at the number written at the top of the handout we received when we arrived at the Garden. A little girl was asked to pull a number out of a hat, and it was lucky number seven. Guess who won a bag of Chicken Layer feed? While I was pretty excited, as I NEVER win anything, Oakhurst Garden received a donated bag of chicken food that day! Check out pictures from Oakhurst Garden!